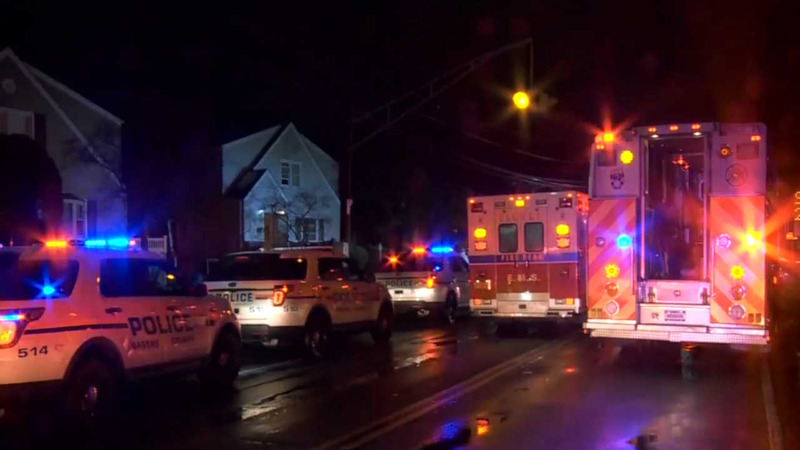 ELMONT, Long Island (WABC) -- Five people, including a child, were hospitalized after being overcome by carbon monoxide on Long Island. Police were called to a home in Elmont around 7:30 p.m. Saturday. Upon arrival, they observed three victims, a 59-year old man, a 27-year-old woman and a 5-year-old boy, suffering from lethargy and dizziness, but were able to walk out of the home. Two women in their 20's were unconscious in a basement bedroom and were removed from the home. All the victims were taken to an area hospital. Fire crews found high levels of carbon monoxide inside the house. The Elmont Fire Department said it appeared to be emanating from an oil burner exhaust pipe.